In the first post of our metadata series, I discussed the meta tags in the <head> of your site. But there’s more metadata in the <head> that can influence the SEO of your site. In this second post, we’ll dive into link rel metadata. You can use link rel metadata to instruct browsers and Google, for example to point them to the AMP version of a page or to prevent duplicate content issues. The link rel tags come in a lot of flavors. I’d like to address the most important ones here. Every website should use rel=canonical to prevent duplicate content and point Google to the original source of that content. rel=canonical is one of those metadata elements that has an immediate influence on your site’s SEO. If done wrong, it might ruin it. An example: we have seen sites that had the canonical of all pages pointed to the homepage. That is basically telling Google that for all the content on your website, you just want the homepage to rank. If done right, you could give props to another website for writing an article that you republished. If you want to read up on rel=canonical, please read this article: Rel=canonical: the ultimate guide. In order to link a page to its AMP variant, use the rel=amphtml. AMP is a variation of your desktop page, designed for faster loading and better user experience on a mobile device. It was introduced by Google, and to be honest, we like it. It seriously improves the mobile user experience. So be sure to set up an AMP site and link the AMP pages in your head section. 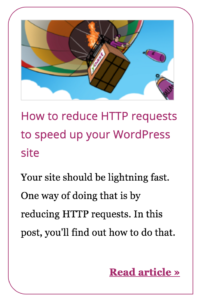 If you have a WordPress site, adding AMP pages is a piece of cake. You can simply install the AMP plugin by Automattic and you’ll have AMP pages and the rel=amphtml links right after that. If you’d like to read up about AMP, be sure to check our AMP archive. By telling the browser in advance about a number of locations where it can find certain files it needs to render a page, you simply make it easier and faster for the browser to load your page, or (elements from) a page you link to. If implemented right, DNS prefetching will make sure a browser knows the IP address of the site linked and is ready to show the requested page. Please note that if the website you are prefetching has performance issues, the speed gains might be little, or none. This could even depend on the time of day. Monitor your prefetch URLs from time to time. Rel=author has no effect whatsoever at the moment. It hasn’t had any effect we know of for quite a while actually, as Joost already mentioned this in October of 2015. You never know what use Google might come up with for it, but for now, we’re not pushing it in our plugin. It was used to point to the author of the post, giving the article more or less authority depending on how well-known an author was. At the time, this was reflected in the search results pages as well (it’s not anymore). No need to include it in your template anymore. Other rel elements include your stylesheets (make sure Google can use these) and you can set icons for a variety of devices. SEO impact of these is rather low or simply not existing. So we discussed meta tags and link rel metadata in the <head> . Is there even more metadata that affects SEO? Yes there is! In our next metadata post, I’ll explore social metadata, like OpenGraph and Twitter Cards. In addition to that, we’ll go intohreflang, an essential asset for site owners that serve more than one country or language with their website. Stand by for more! If you own an eCommerce site, you might wonder how to optimize your category pages and your product pages. Could you have the same content on your category page and your product pages? If you have the same content on multiple pages of your website, would Google know what to rank first? Or would it cause duplicate content issues? 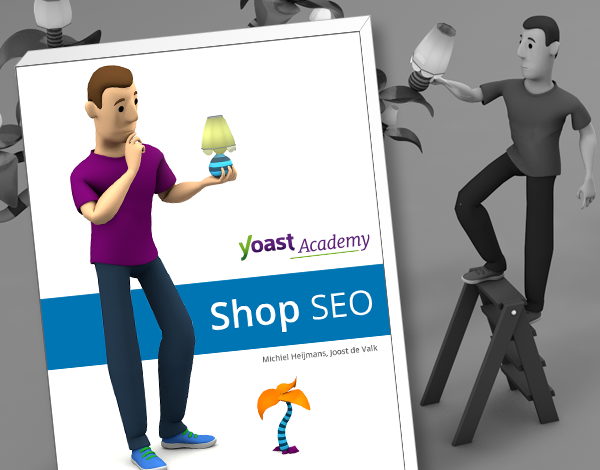 This Ask Yoast is about the optimization of category and product pages of your online shop. Hear what I have to say about this! Duplicate content on your shop? The answer is simple: Yes. So what should you do is optimize your category page for the product. And only optimize the sub pages, the product pages for the individual product colors, and then make sure that the category page gets all the links for that product. So you should improve your internal linking structure so that when you mention the product, you link to the category page and not to the specific color page underneath that. If you improve that category structure in the right way, then that should fix it. If it doesn’t, then noindex the product pages and “canonical” all of them back to the category, so that Google really knows that the category is the main thing. That’s what you want people to land on. Most people want to see that you have more than one option. If they search for the specific product and you do not noindex it, so if you choose for the first option, then Google should send them to the right page. So try that first. If that doesn’t work, noindex as product page and then “canonicalize” them back to the category. In the series Ask Yoast we answer SEO questions from followers. Need help with SEO? Let us help you out! Send your question to ask@yoast.com. Social media is not only an important part of your marketing strategy, but it’s important for your SEO strategy as well. LinkedIn publishing platform Pulse is one of the many content publishing platforms out there. You can read stories and news from other publishers, and you can publish your own content. But could you publish the same blog post on Pulse, as the one you post on your own site? 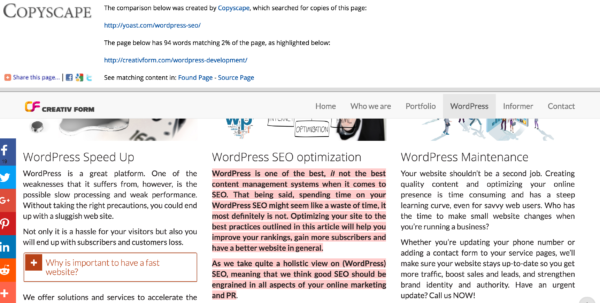 Or should you post an excerpt and link back to your site? Does Google consider content on Pulse as duplicate content? Joost will answer this question in this Ask Yoast. To be honest, if you post your own blog post first, make sure that it’s indexed in Google and then post it on Pulse with a link underneath the posting: “This post originally appeared on…” linking back to your blog post. If you do this, you should be okay. It’s not rel=canonical, but Google is smart enough to understand most of that and work its way through, so you should be okay. It might still rank the LinkedIn one higher, if your own domain is not that strong, because it might think that it actually gets a better interaction on LinkedIn. If that’s the case you should think about maybe using excerpts. Just try it a bit, see how it works for you. It really depends on how strong your own domain is and on what you want to achieve. If it works on LinkedIn, maybe leave it on LinkedIn and then make people click from LinkedIn to your site. That’s just as good for you, if it works. 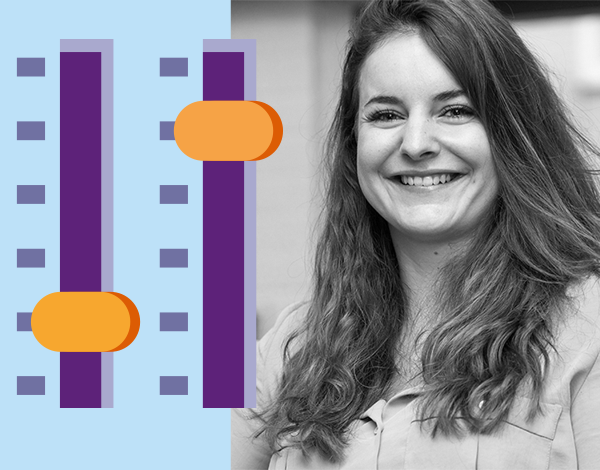 Want to know how to create attractive archive pages? And how to increase click-through rates to your posts or pages? Make sure to write short and appealing excerpts for every post or page. The excerpt should be a teaser to get people to read your post. 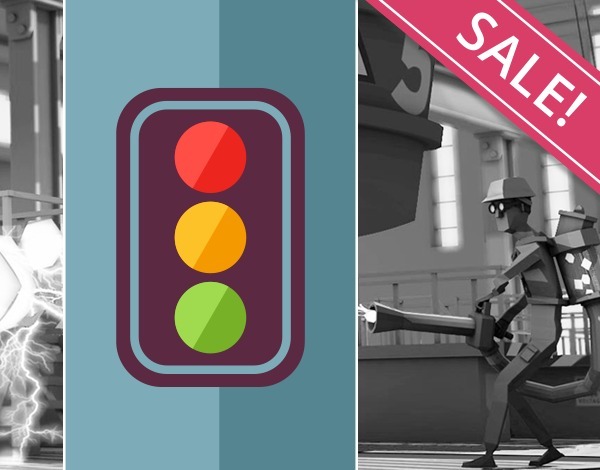 In this Ask Yoast, Joost explains the importance of using excerpts. In the series Ask Yoast we help you with your SEO question! Not sure what’s best for your site’s SEO? We’ll come to the rescue! Just send your question to ask@yoast.com. If content on different urls is the same, search engines don’t know which url to show in the search results. We call this a duplicate content issue. And it can hurt your rankings! Unfortunately it happens more often than you’d think. Did you, for instance, ever think about the consequences of www or non www versions of your site? Watch the answer in the video below! Do you have a question about duplicate content, link building or copywriting? Just ask! We’ll be glad to help you out if we can. Send your SEO question to ask@yoast.com! Watch the answer in this video or find it in the transcript below! Well you won’t necessarily be penalized, but Google will only show one of the two sites that have the blog articles. Your best bet probably, is to choose either one of them, and to make sure that the canonical on the one that you don’t want to rank is set to the one that you do want to rank. This might be slightly technical, but it’s in the Advanced tab of Yoast SEO. Underneath each post you can set the canonical to point to another url than the url of the post. And by doing that you’ll tell Google which one you want to rank. This solves any duplicate content issues. And you should be able to get your RSS importer to do that for you. Good luck! 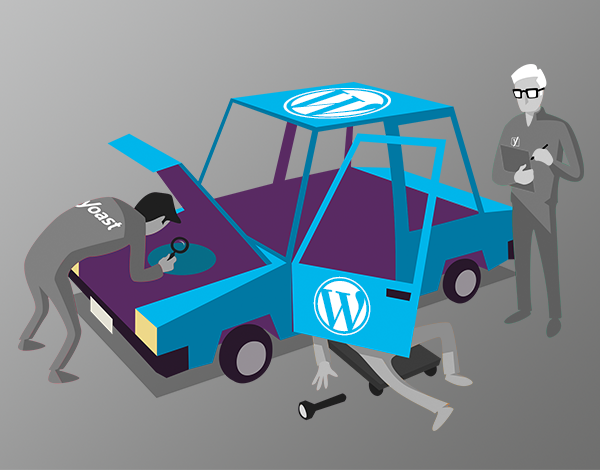 In the series Ask Yoast we help you with your SEO query. Don’t hesitate and send your SEO question to ask@yoast.com! Yes, there is a solution. The solution is to make your product feeds use different content for all these channels. We’ve covered this in another video as well and I know it’s a tough one because you’ll have to write a lot more content. But there really is no other solution than that. You’ll have to write unique content for each platform. Sorry! Good luck! In Ask Yoast we answer SEO questions from our followers. Can we help you as well with your SEO question? Send your question to ask@yoast.com, and you might get a personal answer on video!